Paula Allen-Meares, PhD, Dean, School of Social Work, Norma Radin Collegiate Professor of Social Work, Professor of Education University of Michigan Michigan, U.S.A.
Dean Paula Allen-Meares previously held the title of Dean and Professor at the School of Social Work, University of Illinois at Urbana-Champaign. Her research interests include the tasks and functions of social workers employed in educational settings; psychopathology in children, adolescents, and families; adolescent sexuality; premature parenthood; and various aspects of social work practice. Major themes in Dean Allen-Meares’ research include improving the mental health/health of poor children and adolescents of color; adolescent pregnancy; and the strengths of African-American parents and communities. In her twenty-three years at IBM, Janet Ang has undertaken a variety of job responsibilities, including System Engineer, Marketing Representative and a range of management positions. Just to name a few, she was the Managing Director of IBM Singapore, the Director of Sales Operations of the Asia Pacific IBM headquarters in Tokyo and the Vice President of Personal Systems Group of IBM Greater China. Following the sale of IBM PCD worldwide to Lenovo, Ms. Ang led the transition of the IBM PCD unit in Greater China to Lenovo. She has served on the IBM AP Women Advisory Council for several years and is a member of the International Women’s Forum (IWF). Alta Barer, Owner and Principal, Saltchuk Resources, Inc., Advisory Board, Stellar International Networks, Washington State, U.S.A.
Alta Barer is a businesswoman and philanthropist. She is a co-owner of Saltchuk Resources Inc., one of the largest flag steamship, tug and barge companies in the United States. Ms. Barer is a leader in many non-profit organizations including the Achievement Awards for College Scientists and the Seattle Art Museum. She serves on the Seattle Repertory Theatre's Board, Hope Heart Institute’s Board and as a trustee for the Center for Women and Democracy. Since working in the U.S. Senate for Senator “Fritz” Hollings, Ms. Barer has maintained a keen interest in politics, volunteering for many political campaigns and serving as a Majority Council member of Emily's List. Betty Blount, Owner, Architect and Designer, Zena Design Group, Washington State, U.S.A.
Zena Design Group is an architectural and interior design firm which focuses on hospitality design. Betty Blount has been working with the Shangri-La hotel group and the Hyatt hotel group designing local and international projects. Ms. Blount founded Zena Design Group focusing on hospitality, specialty commercial and private residential design. She has also worked in architecture and feasibility consulting, and then expanded into interior architecture and design. Recent projects have included clubs, hotels, restaurants, and private residences. Senator Maria Cantwell, United States Senate – Committees: Energy and Natural Resources, Commerce, Science and Transportation, Finance, Indian Affairs, Small Business and Entrepreneurship, Washington State, U.S.A.
Maria Cantwell currently serves as a United States Senator for the State of Washington. As a respected leader -- both in public service and in the private sector -- Maria has always embraced the values she first learned growing up in a strong working-class family. Cantwell was first elected to the U.S. Senate in 2000 and re-elected in 2006. Throughout her career, Senator Cantwell has spearheaded efforts to make our nation’s energy system cleaner, more efficient, and more diverse. As a member of the Senate Energy and Natural Resources, Finance, and Commerce committees, Senator Cantwell most recently played a key role in drafting and ensuring passage of the bipartisan 2007 Energy bill. The bill raises fuel efficiency standards for the first time in more than two decades, strengthens and expands the growing market for ethanol and biodiesel, and bans manipulation in oil and gas markets. Pamela Coker, PhD, Co-Founder and Former CEO, Acucorp, Inc., California, U.S.A.
Pamela Coker’s 37-year career began as an academic and researcher in the areas of cognitive science, psycholinguistics and artificial intelligence. She then co-founded a research and development company that received over $1 million in Small Business Innovation Research Contracts in the area of artificial intelligence. In 1988, Ms. Coker co-founded Acucorp, Inc., a company that modernizes software business applications written in the COBOL language. Under her leadership, the company grew into a global enterprise serving customers in over 100 countries. In May 2007, the company was sold to Micro Focus International, plc. Anna Lucia Del Mese began her career in GE in 2003 as Productivity Leader for O&G Manufacturing implementing new processes and tools to support Cost Out initiatives. One year later she became Digitization Leader, supporting the functions in all IM activities during Oracle ERP implementation. In 2005 she was appointed Lean Manufacturing and Inventory Leader, focusing on Rotor Gas Turbine activities. She also holds a Lean Quality Certification. Before joining GE, she had a variety of experiences in Italy and abroad, as Product Manager for Prada, and Business Intelligence Consultant in CapGemini Ernst & Young in Spain. Stephanie Enright, CEO and Founder, Enright Premier Wealth Advisors, California, U.S.A.
Stephanie Enright leads a seventeen member Wealth Advisory and Registered Investment Management firm. She has extensive experience in family wealth counseling, investment management, real estate analysis, charitable gifting, closely held business issues, retirement and estate planning. Ms. Enright holds masters degrees in Finance and Engineering, is a past member of the adjunct professional faculties of both UCLA and USC, where she taught courses in advanced investment techniques. She is also an active public speaker –conducting seminars for professional groups, appearing often on television and hosting her own radio show. Additionally, Ms. Enright writes a financial column for the Daily Breeze newspaper and she is the co-author of the books Family Wealth Counseling, Strictly Business, and Stop & Think. Julie Gralow, MD, Medical Oncologist, Fred Hutchinson Cancer Research Center, Seattle Cancer Care Alliance, University of Washington, Washington State, U.S.A.
Julie Gralow is Associate Breast Cancer Program Head and a Scientific Steering Committee member of the Fred Hutchinson Cancer Research Center. She serves as co-chair of the Southwest Oncology Group’s Breast Cancer Committee, a nationwide clinical trials group funded by the National Cancer Institute. She is chair of the American Society of Clinical Oncology’s Communications Committee. Dr. Gralow is Medical Director and co-founder of Team Survivor Northwest, an exercise and fitness program for women cancer survivors. Kimberly Harris, Executive Vice President and Chief Resource Officer, Puget Sound Energy, Washington State, U.S.A.
Kimberly Harris heads Energy Resources, including project development and contract management, Energy Efficiency Services, and federal government relations. She most recently was Senior VP of Regulatory Policy and Energy Efficiency, where her primary responsibilities included federal and state regulatory activities, negotiations and collaborative efforts with regulators and constituents as well as overseeing PSE’s nationally recognized Energy Efficiency programs. Ms. Harris joined PSE in 1999 and has held several key leadership positions within the company, including vice president of Regulatory and Government Affairs, associate general counsel and director of Load Resource Strategies. Now based in China, Susan Heikkala was appointed Managing Director, China Housing Initiative, within the Weyerhaeuser Real Estate Company (WRECO), in January, 2006. She joined a WRECO subsidiary, now Quadrant Homes, in 1989. Her work has focused on commercial and industrial development, master planned communities and residential development. Ms. Heikkala currently serves as the Chair of the Real Estate Committee for the American Chamber of Commerce in Shanghai. Weyerhaeuser Company completed its first business transaction with China in 1972 and has maintained an office in China since 1983. Owner, Attorney specializing in Maritime Law and International Trade Garvey Schubert Barer, Washington State, U.S.A.
Garvey Schubert Barer is a 120-lawyer firm with offices in Seattle, Beijing, Washington, D.C., New York, and Portland, Oregon. Ms. Holland represents businesses involved in international and domestic trade and transportation. Her law firm began its involvement with China thirty years ago when it played a key role in negotiating the resumption of shipping relations between the United States and China. Ms. Holland serves on the Coordinating Committee for the U.S. China Clean Energy Forum, and her firm is one of the Forum’s founding sponsors. She was a speaker at the 2006 Stellar Conference hosted by the China Association of Women Entrepreneurs. Helen Lang Suskin, Vice President, Worldwide Market Analytics Pfizer, New York, U.S.A.
Helen Lang Suskin leads Pfizer's Worldwide Market Analytics group, which translates market research data into decisionable insights. Projects include product positioning, licensing decisions, field force sizing and structure. She also has taken leadership roles in acquisitions, Sales and Marketing process improvements, and Pfizer's philanthropic programs to expand access to free and reduced-cost prescription medications. Before joining Pfizer, Ms. Lang Suskin was an agricultural engineer in Argentina. Sheila Liao, President and CEO, Pointe International, Illinois, U.S.A.
Sheila Liao is founder of Pointe International, a company that creates, packages, and distributes office products, technology accessories, and industrial supplies to wholesalers and large retailers. Ms. Liao has created long-standing business relationships and trading partners in Asia. She began her business entrepreneurship by acquiring an office supply retail store that she later developed into a profitable warehouse distribution enterprise. An advocate for like-minded women she shares her insights as a speaker and volunteer for Students in Free Enterprises (SIFE), Kids in Need, and SCORE. Elisabeth Lindner has more than 25 years of experience in the biopharmaceutical and pharmaceutical industries. She has worked mainly within R&D and product development with the Pharmacia group and Octapharma. Ms. Lindner has experience with biotech start-ups, and most recently became CEO and President of Diamyd Medical, a biopharmaceutical company developing drugs to fight against diabetes and diabetes-related complications. Clara Lippert Glenn, President and CEO, The Oxford Princeton Programme, New Jersey, U.S.A. The Oxford Princeton Programme is the world's leading provider of education and training solutions to the energy, commodities and derivatives sectors. Clara Lippert Glenn began her career in energy commodity trading at Amerada Hess. During her time there, and later at Total CFP, she came to appreciate the lack of industry training for those in and around commodity trading and operations groups. Ms. Lippert Glenn has provided the vision and leadership behind her company's innovative and successful approach to interactive professional education. Mona Locke, Executive Director, Puget Sound Affiliate, Susan G. Komen for the Cure Washington State, U.S.A.
Mona Locke currently serves as the Executive Director of the Puget Sound Susan G. Komen for the Cure. An Emmy-nominated, award-winning journalist, Mona left KIRO-TV last year to follow her passion of working in philanthropy. Prior to that, as the wife of Governor Gary Locke she was a champion for early learning as well as other issues related to children and families. Mona is the founder of the non-profit Foundation for Early Learning, a statewide organization working to ensure that every child enters school prepared to succeed. Mona serves as a board trustee for Seattle’s Children’s Hospital & Regional Medical Center, the Foundation for Early Learning and Thrive by Five, a statewide public-private partnership promoting early learning, co-chaired by Governor Christine Gregoire and Bill Gates Sr.
Kathy Lombardo, Senior Vice President, CH2M Hill, Washington State, U.S.A.
CH2M HILL is a global infrastructure and project delivery firm. Kathy Lombardo was responsible for the integration of services and overall financial performance of the firm’s business across the NW Region, comprising 1800 staff and projects totaling $250M with in offices in Washington, Oregon, Idaho, Alaska, Montana and Hawaii. During her tenure she expanded services into emerging markets such as, life sciences, oil and gas, management and information technology consulting services, and she also significantly advanced the firm’s transportation business. Chris Mead, Former CFO, President of Technology, Service and Operations, Safeco Corporation, Washington State, U.S.A.
Chris Mead has been a finance professional for 30 years, and was named one of the 100 Most Influential People in Finance by Treasury and Risk Management magazine (2003). She started career in England and moved to the U.S. with Price Waterhouse in 1980. Ms. Mead also served as President of Technology, Service and Operations for Safeco Insurance, and as CFO of Travelers Insurance Group. She is a frequent industry speaker on leadership in finance, risk management and corporate turnarounds. Cheryl Mills, Former Associate Administrator of the U.S. Small Business Administration in Washington, D.C., U.S.A.
Cheryl Mills is the former Associate Administrator of the U.S. Small Business Administration in Washington, D.C. Her programs assisted 1.6 million small businesses (800,000 were women-owned) through a national network of 14,000 counselors and 1600 offices helping entrepreneurs with business plans, loan preparation and exporting. Ms. Mills was most recently with Lehman Brothers assisting with cross-selling Lehman clients and is currently a Managing Director of Golden Seeds, an angel network supporting women-led and women-owned small businesses with needed startup and first stage capital. Cheryl served for ten years as a Trustee of the $81 billion New Jersey Pension Fund. Judi Sheppard Missett, President, Founder and CEO, Jazzercise, Inc. California, U.S.A.
Judi Sheppard Missett founded Jazzercise in 1969 and remains president and CEO of the world's leading dance-fitness program with 7,200 franchisees in 30 countries. She has produced seven gold and platinum exercise videos, three bestselling fitness albums, written two hit books, and raised more than $26 million for various charities. Judi has received three presidential commendations, four hall of fame inductions, and several fitness, business, and philanthropic awards. These include the Lifetime Achievement Award from the President's Council on Physical Fitness & Sports (2007) and Empowered Woman Award from Women Presidents' Organization (2007). Hala Moddelmog, President and CEO, Susan G. Komen for the Cure Texas, U.S.A.
Hala Moddelmog’s responsibility is to build, strengthen and solidify Susan G. Komen for the Cure’s reputation as the global leader in the breast cancer movement while driving the organization forward in its promise to save lives and end breast cancer forever. A former Fortune 500 executive and breast cancer survivor, Ms. Moddelmog joined the organization in September 2006. Her tenure to date is marked by new alliances with leading cancer organizations to minimize duplication, the formation of Komen’s Scientific Advisory Board, new grant mechanisms for research and community outreach and new international initiatives. Prior to joining Susan G. Komen for the Cure, Ms. Moddelmog was the first woman in corporate America to lead an international quick-service brand when she was named president of Church’s Chicken in 1995. She holds a bachelor’s degree in English from Georgia Southern University and a Master's in journalism and mass communications from the University of Georgia. Sharon Nelson, Chair, Consumers Union and Director, Itron, Washington State, U.S.A.
Sharon Nelson is an expert in energy and telecommunications regulatory policy and serves on several boards of directors. She served as Chief of the Consumer Protection Division in the Washington State Attorney General’s office from 2003 to 2006. From 2000 to 2003 she was the Director of the Shidler Center for Law, Commerce and Technology at the University of Washington School of Law. Previously, Ms. Nelson served two terms as Chairman of the Washington Utilities and Transportation Commission (WUTC), from 1985 to 1997. She is also on the Board of Trustees for the North American Electric Reliability Corporation, as well as Commissioner on the National Commission on Energy Policy. Susan P. Nelson, Doctor, Anesthesiology, Circle N, Washington State, U.S.A.
Susan P. Nelson has practiced medicine, specializing in Anesthesiology, since 1992. She is an active member of the American Society of Anesthesiology and the Washington State Society of Anesthesiology. Ms. Nelson has always had a personal commitment to helping women throughout the world, has sponsored the education of several young women, and continues to donate to Women For Women International. She is particularly looking forward to being involved in the breast cancer aspects of this trip, to help promote breast cancer education and advocacy in China. Teri Ng leads a team of legal professionals in Beijing and Shanghai that provide legal support to Microsoft’s business in China. Ms. Ng has been with Microsoft for more than twelve years and has broad experience in Asia-Pacific including experience at Microsoft Japan and Microsoft Hong Kong. Before joining Microsoft, Teri was in a private practice with the San Francisco law firm of Bingham, McCutchen LP. Teri received her law degree from the University California at Los Angeles and her undergraduate degree in Asian Studies from Cornell University. She was an exchange student at Beijing University participating in an intensive Chinese language program. Maura O’Neil, U.S. Congressional Chief of Staff, United States Senator Maria Cantwell, Washington State, U.S.A.
Ms. O’Neill has started a number of companies in the energy, environmental and high technology areas. 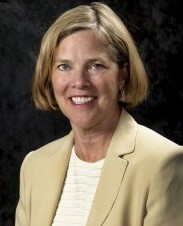 In addition, she has been active in public policy roles since she moved to Washington State to attend college in 1975. Most recently, she has been on the faculty of the Lester Center for Entrepreneurship and Innovation at University of California at Berkeley and co-founded a digital textbook company. Starr Tavenner, Director, Global Strategy, The Boeing Company, Washington State, U.S.A.
Starr Tavenner is recognized as having begun the Boeing China strategy in 1993, and is contributing to its continued development and implementation. Starr Tavenner's career spans thirty years at Boeing, with assignments as Program Manager for the 737 airplane, Marketing Director, Public Relations Director, issues management, product development, international business, government affairs, and industrial engineering manager. She is the past-President of the Washington State China Relations Council. Other community activities include the Museum of Flight, Seattle Art Museum, Chinese Garden Society, and mentoring MBA students at Georgetown University. Lois Dougan Tretiak brings 30 years of experience working on China issues to her senior role in Beijing. She was Vice President and Director China, Economist Corporate Network, and Chief Representative, Beijing and Shanghai, The Economist Group. She also developed and chaired ten Economist Conferences' Roundtables with the Government of the People's Republic of China (PRC), at which senior executives and Chinese officials met to discuss central government policies. Mrs. Tretiak advises companies on China investment strategies and implementation. She regularly presents analyses and forecasts of China’s politics, economy and operating environment to corporate executives in cities around the world. She directed and co-authored two of the earliest studies of private-sector foreign investment in China published by the Economist Intelligence Unit. Mrs. Tretiak is a founding member of the International Women’s Forum (IWF) of Hong Kong. Heidi Tucker is senior vice president of Enterprise Sales at First Research, Inc. a division of Dun and Bradstreet. First Research is North America’s leading provider of Industry Intelligence to empower B2B sales organizations. Ms. Tucker leads the company’s sales efforts to Fortune 100 Telecommunications and Technology companies. Previously she was president of Off My Ears, a marketing and business development firm, and spent 18 years at Bank of America, most recently in the role of Senior Vice President and Manager of Small Business Marketing.